Unlike most typical pasta bakes, this baked pasta has no saucy base. It is firm like a slice but moist and cheesy to eat. I baked these grab-and-go pasta slices quite often for my boy so that he can grab his pasta with his hands with no fork and spoon. 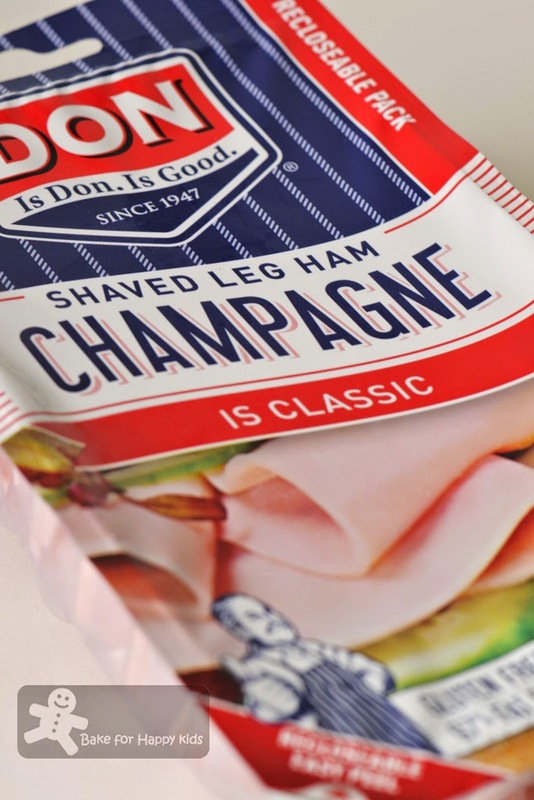 Simply convenient to eat. And no mess to clean. At most of the time, I do feel the motivation, joy and satisfaction of baking these. All because I know that 1) These healthy slices are nutritional being fully packed with vegetable 2) Serving these is handy and easy as they can be packed into lunch boxes. These can be consumed in room temperature or slightly chilled as re-heating are not required. 3) My boy says that he likes the vermicelli ones! When Lena from Frozen wings suggested baked pasta as the theme for this bake-along with Joyce from Kitchen Flavours for our bake-along, I was thinking of sharing this brilliant recipe. 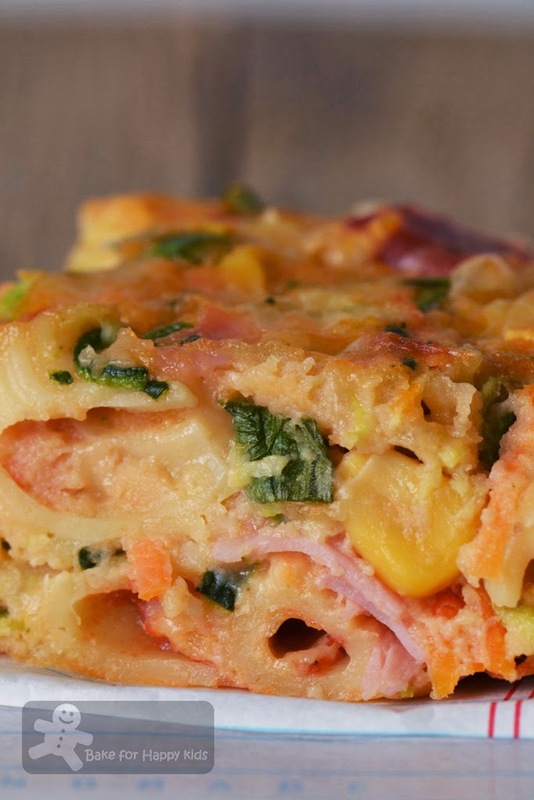 For mums who need to pack healthy school lunches for kids, why not give this unconventional pasta bake a go? I wish that your kids will love these baked pasta slices as much as my kid. 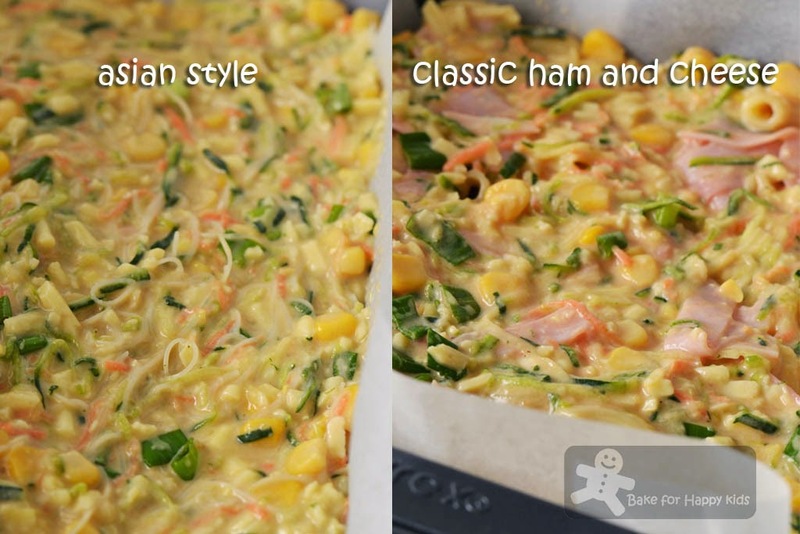 For my boy, I usually bake these in two variations 1) Asian style with oyster sauce, vegetable and vermicelli and 2) classic ham and cheese pasta and the Asian style one is also my boy's preference. Before proceeding on, here are my important tips to share... 1) Please don't bake them in scale-up quantity, meaning don't bake larger quantity of batter in a larger pan. Baking them in trays larger than 20 cm x 20 cm or baking them too thick with excess batter can result in soggy middle slices. 2) Squeezing excess liquid from the zucchini and carrot is an important step and so please do not omit doing this. 3) These slices are freezable and so you can bake them in an excess amount and store them in the freezer until they are required. 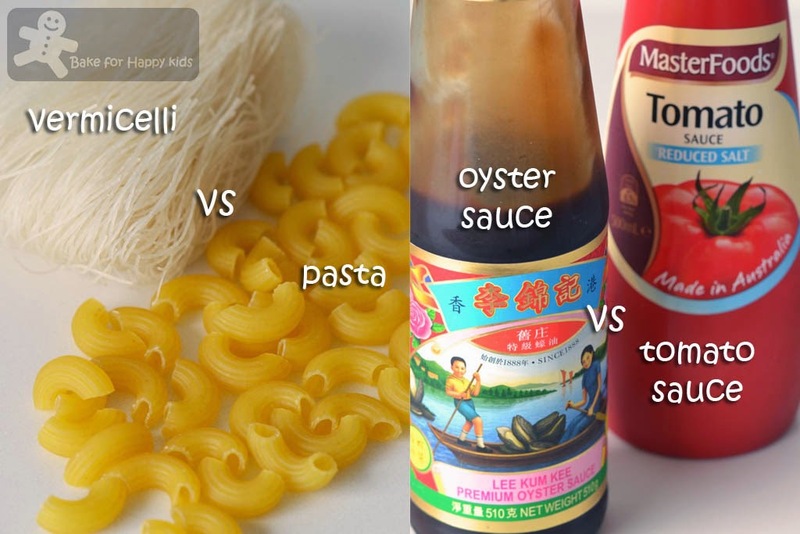 These are the East vs West ingredients. See! There are lots of vegetables in these slices. Please do not omit this step... Getting rid of the excess liquid is important! 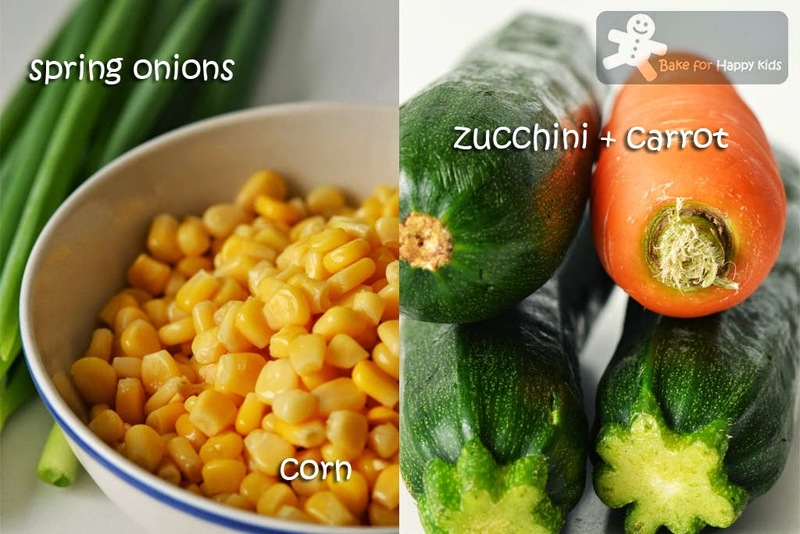 Besides vegetable, these slices also contain all these healthy ingredients. 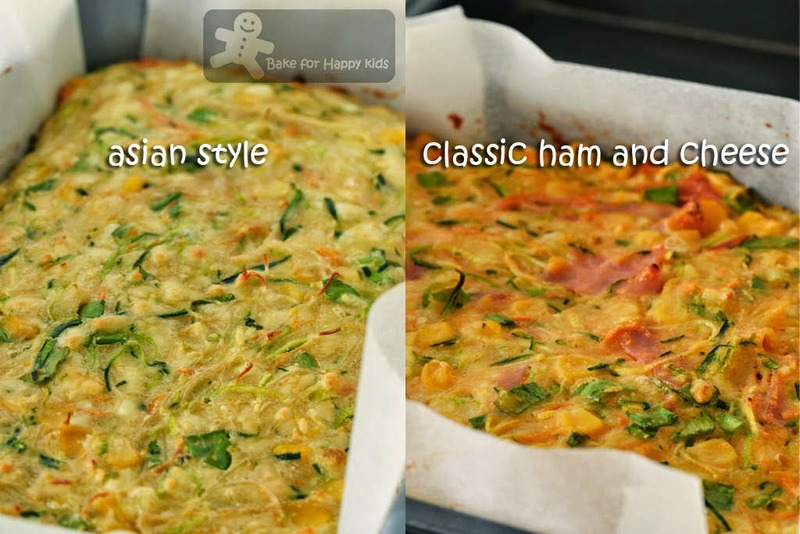 Take a closer look at the Asian style slice! ... and the ham and cheese slice. Not bad, huh? Here's my adapted recipe from taste.com at here and here. Note: You can double the above amount to bake two kinds of pasta bake. Grease a 20 cm square pan or 15 cm x 25 cm pan to bake each variation. Line base and sides with baking paper, allowing 2cm overhang at long ends. For Asian style variation, place noodles in a heatproof bowl. Cover with boiling water. Set aside for 10 mins or until softened. Drain. Return to bowl. Using kitchen scissors, cut noodles into 5cm lengths. Set aside to cool. 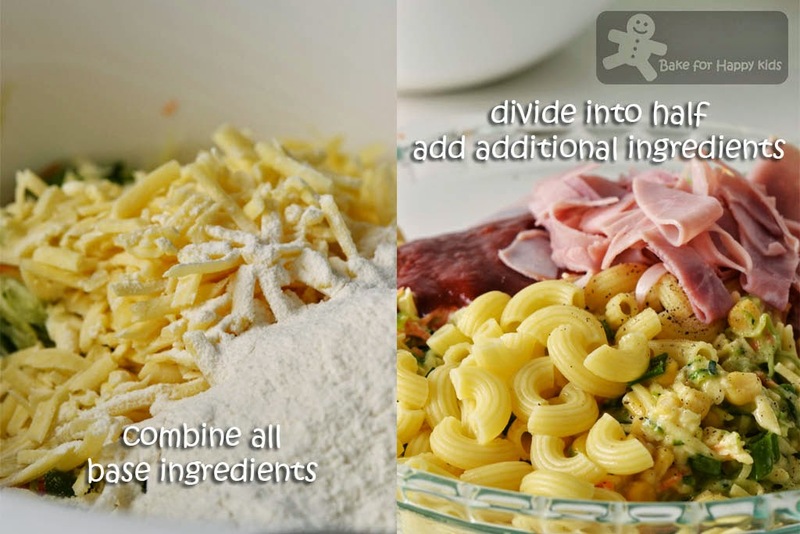 For ham and cheese variation: Cook pasta in a large saucepan of boiling, salted water following packet directions until tender. Drain. Rinse under cold water. Drain. 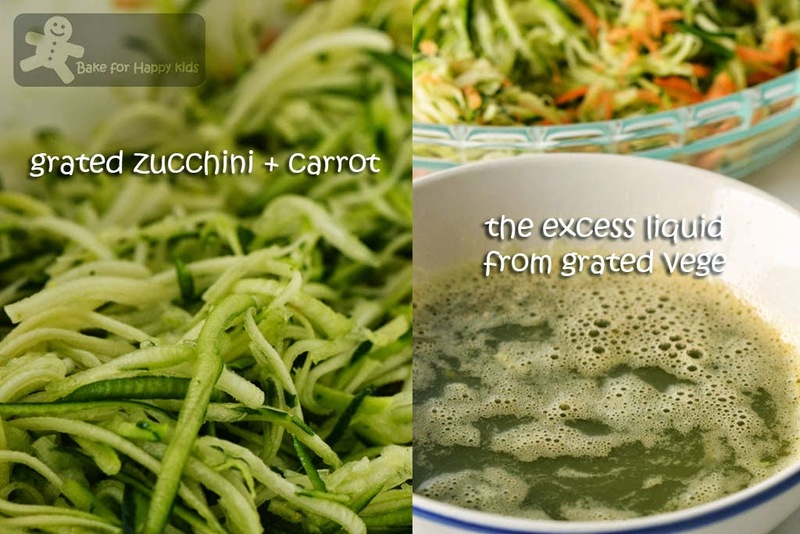 Using a muslin cloth, squeeze excess liquid from grated zucchini and carrot. 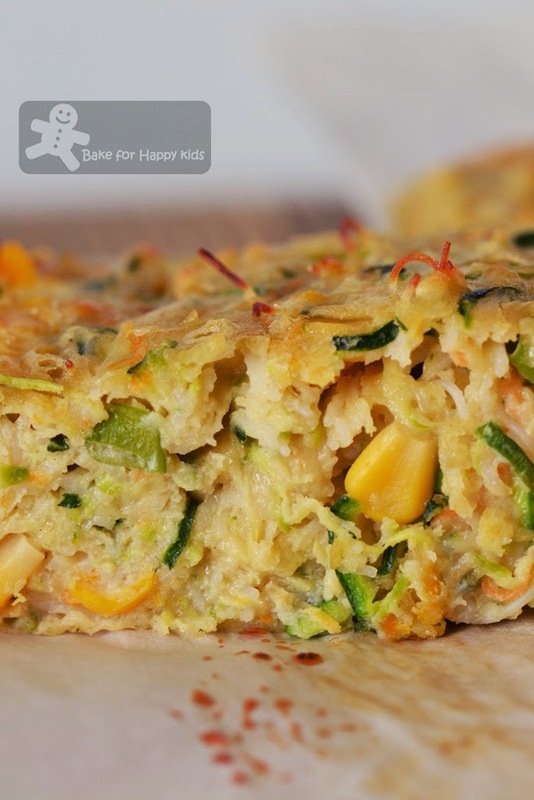 Combine noodles, zucchini, carrot, corn, onion, flour and cheese in a bowl. Place eggs, milk, oil and oyster sauce in a jug. Whisk to combine. Stir through noodle mixture. Spread mixture into prepared pan. Bake for 30 mins or until golden and just set. Stand for 20 mins to set. Serve. To freeze, cut the slices into serving sizes. Wrap each in freezing bags and store them in the freezer and ready to be consumed. To consume frozen slice, thaw the slices in the fridge overnight. 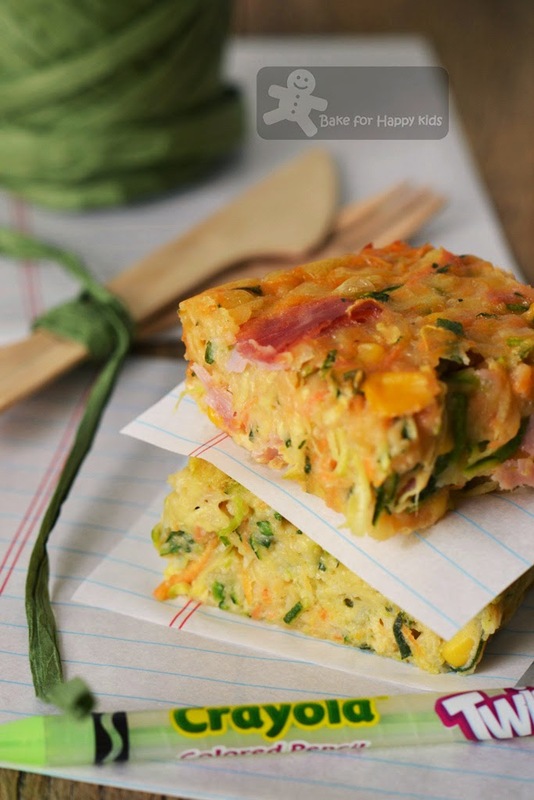 Thawed slices can be re-heated or remain cold for next day lunch boxes or consumption. Ooohh, I've always love the western style one - the classic ham & cheese.. As for the Asian style, I fry noodles with oyster sauce almost all the time, so yeah, I prefer the ham & cheese.. I'm very happy each time you post about savoury food, hehe.. I seldom use corn in my cooking. The only time I use corn is when I'm boiling ABC soup.. Coz corn is indigestible, so I feel a bit "geli", hehe.. But if you serve this ham & cheese pasta for me, I'll wallop everything, corn or not, sapu habis !!! Wah say ! East meets West ! The Asian style baked pasta is so unique ... in slices. Zoe, it sure looks great. Like eating a cake! I love the idea of an Asian style pasta bake - my girls will love this! Hard to take my eyes from ur clicks.Very filling and healthy pasta slices. Zoe, luckily I didnt miss out your this post cos I can join this event too heeheehee, gonna post it soon :D. And your baked pasta making me drooling, yum! What a clever idea. Looks fun to eat. 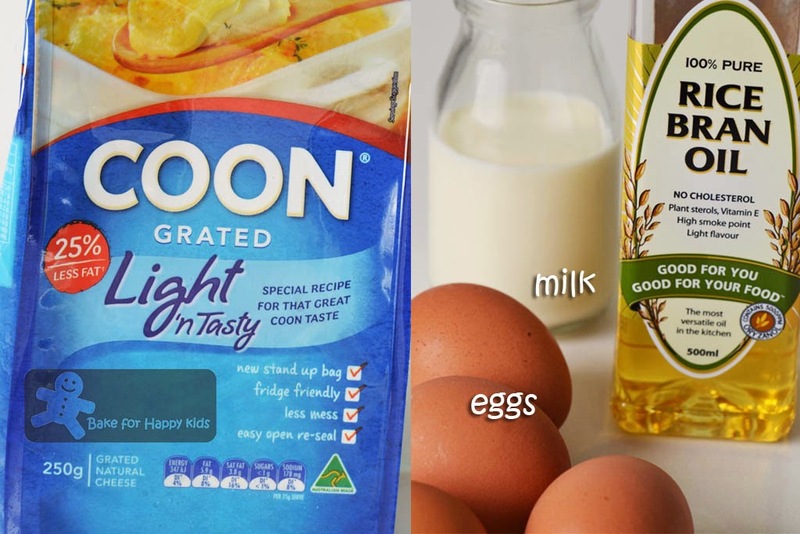 These two recipes are great for the kids, especially the one who don't like veggie too much, easy and clean to eat! I've meant to bake something for this but realised I missed the deadline. Another time I suppose :) Your pasta slices are definitely brilliant to avoid any spillage and they look gorgeous with speckles of greens, meat and pasta. What a great bake!